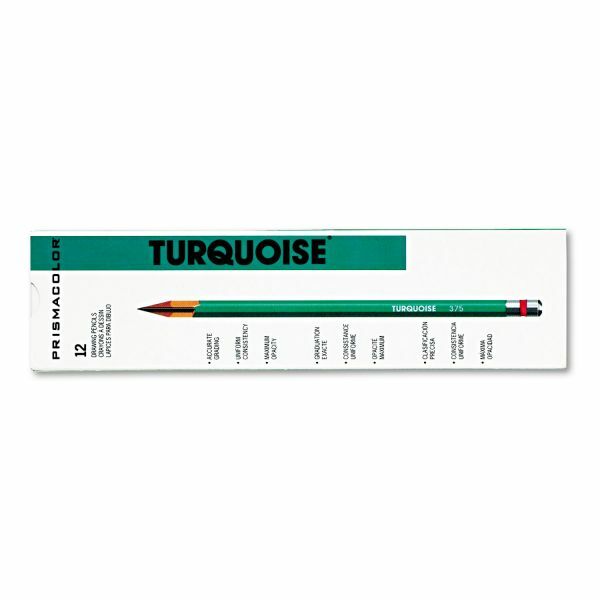 Ideal for high-quality artistic use as well as everyday school and professional use. Super-bonding process welds the lead and wood together. Lead sharpens for a scratchless, glossy line in any weight,. Use on paper or vellum for a smooth, opaque laydown every time. Note: A minimum quantity of 69 must be ordered, and in units of 1 thereafter. 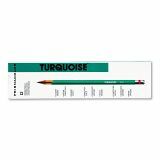 Prismacolor Turquoise Drawing Pencil, HB, 1.98 mm, Dozen - Drawing pencil delivers black opaque laydown. Round-edge hexagon is finished in turquoise blue with aluminum cap. Use on paper or vellum. Drawing pencil does not have an eraser.